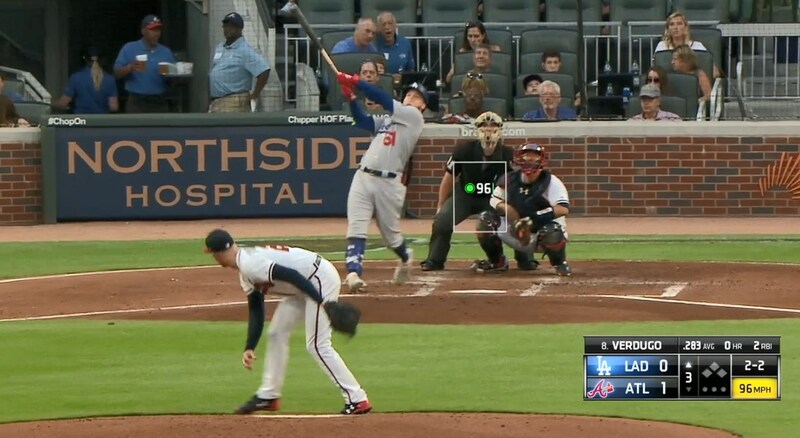 After getting off to a nice start to the series against the Braves on the road last night with a comfortable 8-2 victory, the Dodgers were back at it again tonight, utilizing a familiar blueprint of big dongs and quality starts for a 4-1 win. 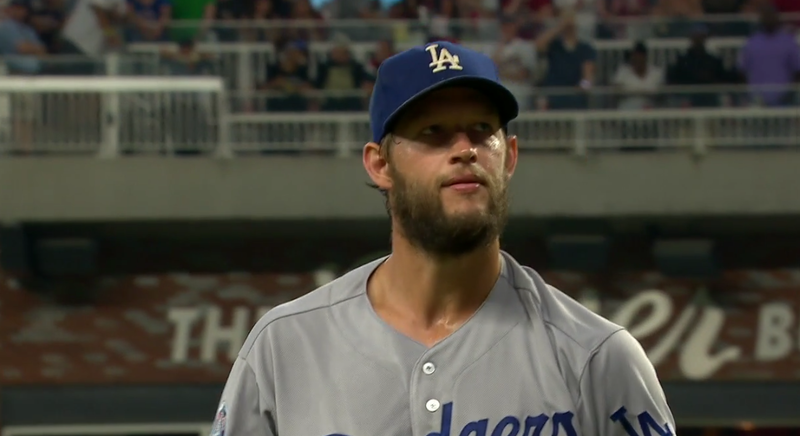 Clayton Kershaw was on the bump tonight, and it was the Braves that actually struck first against him. A double to start the 2nd that was followed by a single put runners on the corners with nobody out. However, Kersh limited the damage to just one run after inducing two grounders and getting a strikeout. Following that, a man didn’t reach second from innings 3-6, and he retired 12 of the 13 batters he faced in that stretch. However, he allowed a single and then hit a batter to start the 7th … but proceeded to get out of it without any damage thanks to a strikeout and a line-out double play. In the 8th, he got two strikeouts but also allowed two singles, which meant the end of his stellar night. Kershaw got 7.2 innings on 101 pitches, allowed just the one run on no walks and six hits (one double), while striking out eight batters. Perhaps just as importantly, he was regularly 91-92 mph with the fastball, which is better than 89-90. That provided enough time for the bats to get going. Alex Verdugo started the 3rd by tying the game with his first dong of the year, hit out to dead center. Things continued in the 4th, when Yasmani Grandal led the frame off by absolutely smashing his 17th dong of the year to left-center field for the lead. Amusingly, that wasn’t even the big blow of the inning, as Matt Kemp followed with a walk and things really got going once Chris Taylor hit a one-out double to right to put runners at second and third. However, eventually there were two down and the threat seemed over with the pitcher at the plate. Thankfully then that pitcher was Kershaw, and he somehow slapped a fastball that was up-and-in down the line in left for a two-run single and a 4-1 lead. Going back to Kershaw being removed, Kenley Jansen was summoned out of the pen for a four-out save with the tying run at the plate. However, Kenley escaped the 8th by inducing a routine fly out to center. Obviously he was tasked with the 9th as well, where he got a strikeout, a fly out to left, and a strikeout to seal the win on just 16 pitches. 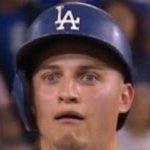 Enrique Hernandez is going nuts. A meme thanks to a Manny Machado foul ball. Speaking of, Dave Roberts implored him to not kill the other players when it happened again. Remarkably, the Dodgers are now 30-22 on the road, which is a 94-win pace. Overall, they get back to 12 games over .500 at 58-46, which is a 90-win pace. Slowly but surely, the Dodgers are getting back in line with expectations heading into 2018. The division lead in the NL West is up to two games with the win, but the Diamondbacks still play later tonight. The Dodgers will look to make it three in a row against the Braves tomorrow at 1:10 PM HST/4:10 PM PST/7:10 PM EST, with Alex Wood taking the hill against Max Fried.